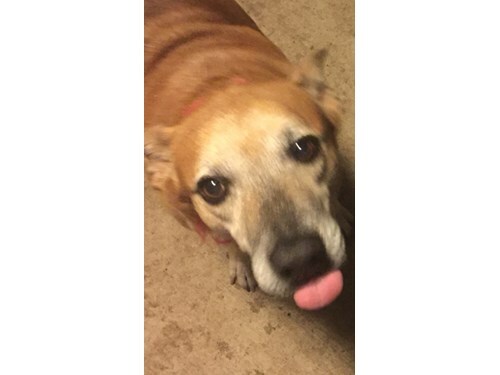 Chiquillo is a 15 year old Lab Mix. He is chocolate in color and weighs approx 75lbs. He is wearing a brown collar and is very friendly. He is with another dog named Kamila, a pit bull mix. If you see them please call 866-699-3463!